Often overlooked, acorns can make one of the finest flours. 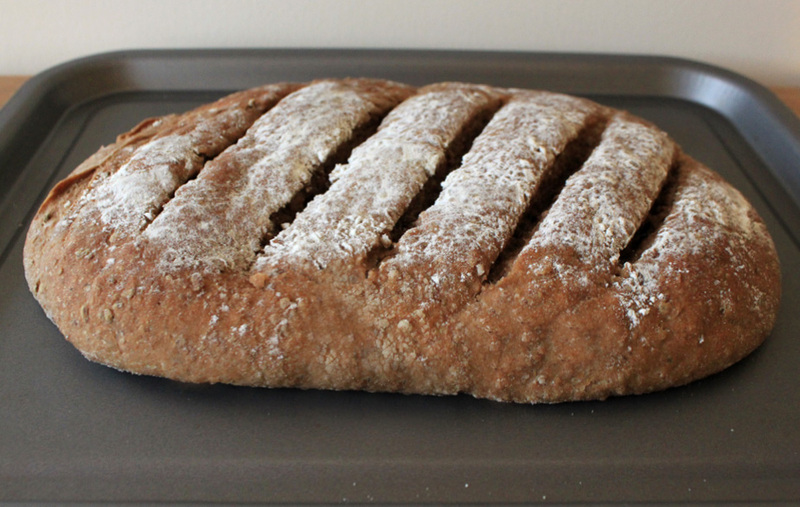 In a series of experiments, I made this huge bread with a whole-wheat appearance. It tasted very nutty and went very well with olive oil and prosciutto. Acorn flour is not something you can buy in the shops, so you will have to make your own, that’s part of the fun! Follow my instructions here. Add the salt in one side of the bowl and the yeast on the other side. Don’t let them blend together at the moment. Add the olive oil in the centre of the mix to give the bread a soft texture.